Untwine : Welcome everybody to a new Cobra interview. So today we are doing a joint interview between me and Patrick Shih from Prepare for Change team of Taiwan. We are working to re-unite all the groups worldwide, and have them working together so we can have a network that can work together for the Event. So joint interviews like this are part of this effort. I was very impressed by the Prepare for Change teams in Asia, they are very organized and motivated, they do a lot of great work, so I think it will be very interesting to hear questions from their point of view. So welcome Patrick ! Patrick : Good day ladies and gentlemen, my name is Patrick, I am a translator of Taiwan Prepare for Change group, and it’s really an honor for me to be the first Taiwanese host for a Cobra interview, so welcome Cobra and Untwine ! Cobra : Thank you, thank you. P : So Cobra, I want to start with some situation update shall we ? 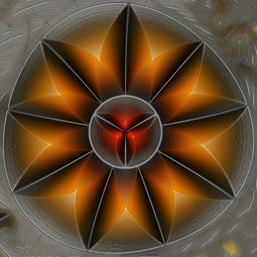 [C: Ok] Have we successfully closed the negative plasma portal in Congo during Ascension meditations ? C : Ok this was one assistance but there were also many other actions of the Light forces, that have managed to stabilize the situation there so the attempts of the chimera group to reactivate the portal was not successful. P : Ok. Sometimes people will say they feel not comfortable, they feel sick, and they say ‘well probably it’s because of ascension symptoms’, but I wonder whether this term ‘ascension symptom’ really exist, or it is really about attacks by negative forces ? C : Sometimes there are symptoms of transformation because the body needs to adjust to new frequency, and sometimes yes there are scalar attacks also, so both is happening. P : Hmm so is there a way to identify which one I’m getting ? 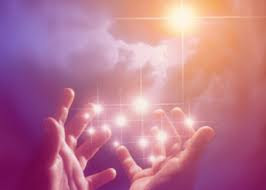 C : Usually the scalar attacks are very unpleasant, the ascension symptoms or shall we say frequency adjustment symptoms are different, they are not so negative, they are not pressuring you down they are just adjustment. But scalar are usually very unpleasant. P : So, very unpleasant, can you give some examples of such unpleasantness ? 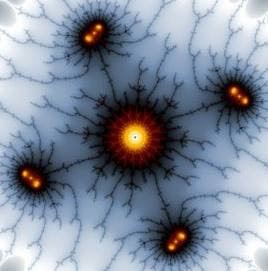 C : They can influence your body functions, heart rate, they can trigger strange sensations in the body, they can trigger very intense negative emotions, they can trigger headaches, this is just a few of the symptoms that can happen as a result of scalar attacks. P : Ok thank you. So my next question is, is there any occult reason behind the territorial dispute in the South China Sea ? C : It is simply that the dark forces want to have a trigger, they want to create a war, but I would say the whole situation is not significant because they will not be able to do it. P : So ok, Untwine it’s your turn. Untwine : I have a question about the Khmer empire around Cambodia, what was their role in history and how did they disappear ? C : Ok you need to have a little bit more specific question. U : Were they more positive, or mixed ? C : It was a mixed civilization there were many tribes, some of them had, I would say quite much connection with the reptilian forces, but there was also, I would say a Khmer renaissance where there was quite much development in art, and certain, I would say priest and priestesses in the Khmer empire were channeling Goddess presence. U : Ok, and how did they disappear ? C : There were many ways, there was a lot of conflict in that area and there was an agenda of certain forces from the cabal to erase them from the planet. U : How about the stars, we’ve talked before about Antares and Aldebaran, which is like a portal between the Central Sun and the Earth, and in ancient traditions there were 4 stars, 1 in Leo called Regulus and 1 near Aquarius called Fomalhaut, can you talk about this axis between Leo and Aquarius, what’s its role in the galaxy ? C : This is another axis because the Antares Aldebaran Axis is a different axis. Actually all those axis are filaments of plasma in the galactic body, that allow hyper dimensional travel throughout the galaxy. And both filaments that you have just mentionned are two of the main galactic highways, and the one called Antares-Aldebaran filament is actually crossing very close to the solar system, this is why this planet is such a highly prized real estate in the galaxy. U : And is there beings living in planets orbiting around these stars ? U : Ok. Will the physical aspect of the galactic pulse reach us at a set date or can it be delayed ? C : It is being delayed already because the galaxy is a living organism and the galactic pulse is timed according to the level of consciousness on this planet so it can be delayed a little bit. U : So the physical particles that were launched by the Central Sun about 25000 years ago, where are they now ? C : This is another wave, actually the physical particles that are reaching us now are part of the previous wave. The physical particles which will be triggered at this particular wave will not travel a the speed of light, they will travel at almost infinite speed because they will be tachyons. And when the veil is removed, those physical particles will reach us at the same time as the non physical ones. U : Ok. In Russia in Siberia there were a lot of sinkholes discovered, what is causing this ? C : Many of the sinkholes are the activity of the Resistance Movement, this is one way to awaken the surface population. U : Ok. there is a new form of astrology that they call sidereal, where supposedly they use the actual position of the constellations for this present moment, how accurate would you say this is ? C : It depends on the person interpreting it, and the accuracy of the model because there are very different models of sidereal astrology, some of them are more exact, some of them are less. You need to understand that astrology is a symbolic model, and its accuracy depends a lot on the person interpreting it. U : Ok. Would you say that the usual mainstream position of the stars that are used in astrology now are still relevant today ? C : Yes of course they are, because even if you use western astrology, the relative position of the stars and the planets remain the same. So we are actually getting the same resonance pattern for most cases. And what is important is that resonance pattern which creates interference waves in plasma that influence the solar system and the Earth. U : Ok thank you. Patrick : Ok Cobra now I want to switch topic to some Earth history. First one is, can you make a timeline sequence among Jurassic age, Atlantis, and the Stone age ? C : Ok what you are calling Jurassic age was hundreds of millions of years ago it had nothing to do with Atlantis. The Atlantis as we know has started maybe 1 million years ago, and what most people are describing as Atlantis is only the last fraction of Atlantean history which is maybe 10 or 20 thousand years ago. P : And the Stone age ? C : The Stone age actually started with the deluge of Atlantis about 12000 years ago and ended about 5000 years ago with another mass cataclysm. P : Ok, the next question is, why did the ancient people build a pyramid complex in Xian in China ? C : All pyramid complexes including this one have a purpose of anchoring the Light from the star systems in the energy grid around the planet. P : Ok. The next question, in new age circle, George Washington is known as an ascended being, if he was truly an ascended being, how could he work so publicly that he worked with other people to create a new country inside quarantine Earth ? C : He was not ascended at that time, he’s ascended now. P : So he’s ascended after he passed away ? C : Some time after his mission was complete on this planet. P : Ok. What is the relationship between the Resistance Movement and Tim Berners-Lee, the so called inventor of world wide web ? C : I would not go in much details here, but I would say he was assisted by the Resistance in a certain way. P : Did the Sisterhood of the Rose inspire Joan of Arc to protect France ? Untwine : When people in meditation have a vision or feeling that they are in contact with positive ET, would this be something that can really be happening on their etheric astral or mental bodies ? C : Yes sometimes yes. U : So these positive ET, they can be present inside the veil to a certain degree ? C : Yes they can be, especially now since the breakthroughs this summer, this is happening much more. It was happening before to a certain degree but now it’s much easier and it’s much more effective. U : In 1999 when many souls were evacuated by the Light forces out of quarantine, were some souls belonging to the Order of the Star evacuated also ? U : What is the astrological meaning of some newly discovered planets around the Kuiper belt, like Eris or Sedna ? C : Ok Eris is, yes I can answer this question, Eris is anchoring the energy of the Resistance Movement. 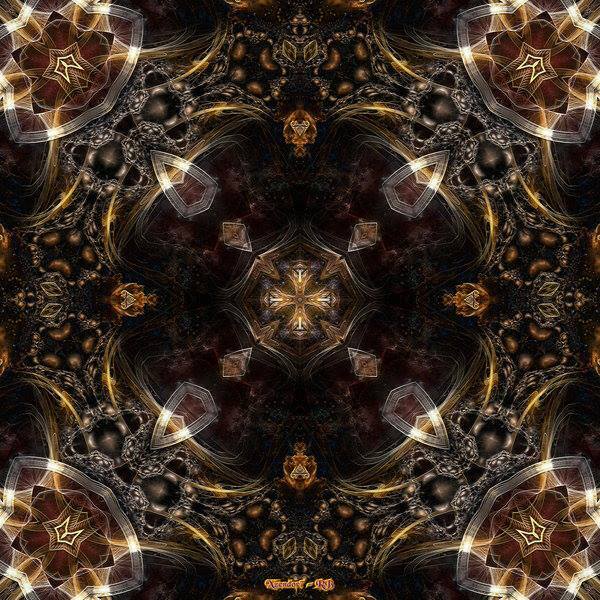 Sedna is anchoring the energy of very intense breakthrough, in exposing whatever has been denied, especially things that have been suppressed with implants. U : Ok. How accurate would you say are the maps of Earth that are available to us at this time, like google maps ? U : In google sky there are some quite large areas of constellations that are masked, what are they hiding ? C : I would not agree with that statement, there are certain areas which are masked but they are not very large. U : Ok, and why are they masked ? C : Sometimes they are hiding certain objects and sometimes they are hiding spacecrafts. U : What kind of objects, like planets or ? C : One of them is Planet X, and also other objects which are not meant to be discovered. Most of them are inside of this solar system. U : Ok. What happened with the capstones of the Giza pyramids ? C : Yeah they were stolen by the cabal. U : Where are they now ? C : They are now in a certain, I would say bunker that still belongs to the cabal, and they are one of the sources of their power. U : Can you say in which country this bunker is ? C : I would say that this is in the state that is called Vatican. U : And what is this capstone made of, what material ? C : It is made of quartz crystal and gold plated, so it’s solid gold on the surface. Patrick : Ok Cobra, now I want to switch questions, regarding to Bible. The first question is, what is the real purpose of Juda, in Jesus apostle mandala ? C : Actually the whole story has been distorted to a great degree, to reinforce the concept of guilt, because the archons wanted to create as much guilt as possible, so the whole story did not happen as it is represented in the gospels. P : Ok, so he’s not a traitor ? C : There was no traitor. P : Alright. 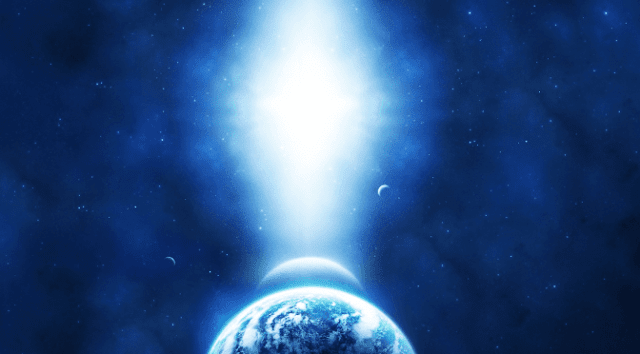 Is the star of Bethlehem in fact a mothership ? C : Star of Bethlehem ok, this was a Jupiter-Venus conjunction which was quite close, and both planets were quite bright in the sky. P : Ok. In the book of revelation, we can often see where it says like 4 horsemen, and 7 seals, angels open the 7 seals and then boom lots of disaster, I wonder what they truly mean ? C : The 7 seals are the 7 layers of the veil and the disaster which happens is the clearing of the dark forces which is happening now. So we’re actually experiencing this right now. P : And the 4 horsemen ? C : 4 horsemen are actually 4 elements, fire earth water and air, they are 4 cardinal points in the horoscope, they are different symbologies which anchor those energies in the apocalypse, and the right combination of those 4 elements triggers the transmutation process, and clearing of the suppressed darkness which is happening now. P : Ok. The next question is, what on Earth happened to Sodoma and Gomorra ? C : It was a nuclear war long time ago. P : Is it related to the fall of Atlantis ? C : It was later actually. P : Ok. What is the real birthday of Jesus ? C : According to various sources, the real birthday is somewhere in march. Untwine : Ok, how do the plasma bodies of various beings and planets in this solar system relate to the octopus, are they inside it or ? C : Actually the octopus is engulfing all the bodies in this solar system to a certain degree, and this is more pronounced in planet Earth, and also quite pronounced in Saturn. U : So you could say that our plasma bodies are part of the octopus, or inside the octopus ? C : Inside, we are living inside of the octopus. U : Ok. Is there a plan for the star seeds, after the Event, to reintegrate the galactic confederation faster than the general population since they were part of it before ? U : Ok. Can you explain what was behind the story of the iron mask, you know with the musketeers ? C : Actually, iron mask is one of the symbols of illuminati, and the purpose of this was to introduce part of the illuminati symbology in the mass population. U : And was there an actual event involving somebody locked in a cell with an iron mask ? C : There were many situations like this in the middle ages, not just one, and also later during 17th and 18th centuries, quite much of this was happening. U : Ok. Do the Resistance Movement agents that are infiltrated on the surface get implants like we do ? C : Not to the same degree because they have much more support and they rarely stay long on the surface. U : Ok. And so when they’re underground they don’t get it at all ? C : Underground the influence is very very minimal. U : Ok. What type of activity is happening around the Central Sun right now in terms of beings, are there many beings gathering around it ? C : The Central Sun is always quite busy there is a lot of traffic, a lot of things going on there, and this is still happening now. U : So all these beings who are visiting it, what kind of things are they doing there ? C : It is mostly for very advanced spiritual evolution. Patrick : Ok Cobra now, I want to ask some questions about worldwide mythology. The first one is, what is the origin of giants ? C : There were many giant races, most of them are humanoid, that were living here throughout the history of this planet, and most of those races came from other star systems, one of the most known races came from the Sirius star system. P : When we read stories about ancient giants, they are often referred as the creators of this world, for example we have frost giant Ymir in nordic mythology, titans in greek and roman mythology, and Pango in chinese mythology, do you have any insight about these gigantic beings ? C : Ok many of those giant races belonged to so called central civilization, and yes they were assisting in the situation on planet Earth as well. P : You know, in the stories, these giants are often referred as antagonists, they are bad guys, they are big and they are evil, and sometimes they just don’t have good manners. C : Yes, not all of the giants were part of the positive races, some of them were not. As I have said they came from various star systems. P : Ok. Snakes are often antagonists in mythology, for example Thor dies in his final battle against Midgard serpent, Zeus had an epic fight against Typhon, Susanoo, the japanese deity, kills Yamata Orochi, known as 8 headed serpent. So what is the original story behind these battles between gods and snakes ? C : This is the same as now, the galactic war between the, I would say the Light forces and the dark forces, which were mostly draco reptilian serpent beings. P : Ok. What is the relationship between Excalibur the sword, and Excalibur the mothership ? C : Actually Excalibur is just the codename for the mothership, the actual name of the mothership is different, but it is being called Excalibur by certain small percentage of ground crew that actually on the soul level belong to that mothership. P : Ok. So can you give some insight about Gilgamesh, the first demi-god here on Earth ? C : I would not say he was the first, but I would say that his story is quite well known, so what is the exact question ? P : So he’s not the first demi-god hero..
C : No, he is not but he is I would say the first one that is well known because archeologists are able to acknowledge that part of human history which was later than 3000 years BC, everything that is earlier is too much for them at this moment. P : Yeah, and about his story, he went to pursue eternal life by hunting a serpent, but the snake got away and only left the skin, do you know the true origin of this part of the story ? C : It is just one symbolic representation of the transformation of the snake, you need to understand that the snake symbol was not always negative there were many different aspects of that symbol, on one side snake represents the reptilian race and on the other side the snake represents the kundalini, the life force, so sometimes those symbols were deliberately mixed by the cabal to create confusion. P : So actually Gilgamesh wanted to have eternal life by training his kundalini ? C : Exactly Gilgamesh wanted to have eternal life, actually he was searching for his ascension. Untwine : What was the event that turned some places on Earth into deserts, from the Sahara all the way to Gobi ? C : Ok what happened were drastic climate changes because of various factors, one of them was increased activity from the galactic Central Sun, and there was a river, flowing through what is now Sahara desert, which is now underground, and that river disappeared, and because of that the whole climate and ecosystem in that area has changed, about I would say 8000 years ago, and what was before dense vegetation turned into a desert. U : What was the mission of Zoroaster and what’s his role now ? C : His mission was to, I would say bring more Light and to bring one aspect of enlightenment to the surface population and his role is still the same. U : So he’s an ascended being now. U : Ok. Is there any non star seed human that is awakened at this point ? C : Not in the same way, not to the same degree, but there is a certain amount of native Earth population that is quite aware of what is going on, in their own way. U : So you said that the dark forces were building layers upon layers of quarantine, during the last 25000 years, [C : Yes], were the Light forces interfering with that process ? U : Ok. You said also that the ascended masters ascended before 1996, so it’s difficult for them to understand how life is here now after 1996, with the increased implants. How about the 8 people who ascended after 1996, can they help them understand ? C : Yes of course they can help, but you need to also understand that this particular group that ascended did not have an average life, they were isolated in a community, with very little contact with the outside world so, I would say they had shielded existence they were not living in a large city, or struggling for their survival as most people are. U : How long after 1996 did they ascend ? C : At this point this is still classified information. Patrick : Ok Cobra now I want to ask some questions about urban myths, the first question, was Taiwan part of Lemuria ? If yes, is there any geological evidence to support this fact ? C : It was, I would say on the outskirts of Lemuria, and there is geological evidence in the whole pacific basin of the large scale submergence, not exactly in Taiwan but you have a very easy way of recognizing this on the strain between Indian mainland and Sri Lanka, there is I would say a submerged underwater bridge, that has been part of the surface not so long time ago. P : Ok. Are we living in a holographic universe ? C : No. Not in the way that some people interpret it. We are living in a multidimensional universe yes, it is holographic in the way that a small fragment of the universe represents the whole, but we are not living in a holographic universe in the sense that the whole universe is an illusion. P : Ok, the next question is, why must crop circles appear in the west, especially Avebury in England ? C : There is a very, I would say strong energy vortex in that part of England, which allows manifestation of the Pleiadian ships that create those crop circles. C : They are happening but they are not as frequent as in England. P : Oh yeah, ok, the next question is, what is the purpose of the Nazca lines ? C : It is actually part of the, I would say a landing strip for certain civilizations many thousands of years ago. P : Like an airfield for a mothership ? P : Ok. I’ve seen master Yoda so many times in your posts, does Yoda truly exist, or does he represent any kind of archetype ? C : It’s an archetype yes. P : Oh, what kind of ? C : An archetype of a wise being that, with his wisdom can overcome, and I would say counteract, all plans of the dark forces. P : Ok. Why are archons so allergic to Goddess energy ? C : It is because the Goddess energy represents whatever they don’t want to be represented, actually the Goddess energy has the power to transmute all darkness into the Light, and it will transmute all darkness into the Light, so this is why they don’t want it. Untwine : You said that the Nazca lines were landing strips for some ancient civilization, is it the same case for Chaco canyon in New Mexico ? C : This was a different story, but yes it involves also extraterrestrial involvement in that part of the world, in that particular case. U : Ok. Who was Rama from the old indian legends ? U : Where are the main Agarthan cities in Europe ? C : Some of them are under large cities, of course below the surface of London, Paris, below the surface of Munich, and some of them are high below the surface in the Alps. U : In recent conference you talked about some kind of frontier or border that was created underground by the dark forces to block passage between the eastern and western Agarthan networks [C : Yes], what’s the nature of this barrier and is it still active now ? C : It is a physical barrier which still exists unfortunately to a certain degree, and its location is, ok I would not say its location but I would say that it still, to a certain quite great degree, prevents the flow of information and contact between the eastern and western Agarthan networks, it is not completely air tight but there is still a lot of interference and danger in that area. U : There was an extraterrestrial contact that was called the wow signal, who sent this ? C : I have to disappoint, it was not a genuine extraterrestrial signal, it had other sources. U : Can you say what was its source ? C : Cabal activities, it was not a genuine ET signal. U : Ok. What’s the low pitches hum that are often heard in Taos, New Mexico ? C : This is part of the infrasound experiments and New Mexico was part of the location of many underground bases and also a lot of experimentation with scalar weapons, and Taos New Mexico is very close to certain, I would say, military laboratories where they are testing scalar weaponries, so this is one of those locations unfortunately. U : What was behind the story of the creature in the Loch Ness ? C : Yes there was a creature living there, there are actually many creatures living on the surface of the planet which are not officially recognized. U : Is this some kind of dinosaur heritage or something else ? Patrick : Ok Cobra now, I want to ask some questions about post Event life. Many Lightworkers are expecting prosperity funds and their cut of the St Germain trust, I wonder how will the Resistance Movement distribute such funding to people who have multiple bank accounts, or people who don’t have any account ? C : Well this is not a problem, for people who have more bank accounts, they can distribute wherever people wish, if they don’t have a bank account there are other ways to distribute this, some of them will be direct physical contact, there are many ways to do it it’s not that difficult, it is just a matter of logistic so it is not a big problem at all. P : Ok. Do Light forces have any urban renewal plan for casino cities such as Las Vegas and Macao ? C : Yes of course they have plans. P : What kind of plans ? C : The plans are to, actually it will be part of the global restructuring of urban centers, it will be more aligned with sacred geometry and it will be a gradual process, this will take some time. It’s not immediate, I would say in number one priority, but those changes in infrastructure will happen first gradually then it will accelerate quite drastically. P : Ok. Can people continue to practice martial arts or fire arm shooting after the Event ? C : People who will practice martial art which have spiritual basis will sometimes be inclined to continue, people who are using fire arms to train to aim will be able to use them, but there will be no more violent purpose behind this. P : Ok. Should we register Prepare for Change as a global organization sometime after the Event ? C : You don’t need to register this anywhere, the purpose of Prepare for Change is to be efficient in the situations before the Event. P : So, after the Event ? C : After the Event there will be, I would say a change in the purpose of Prepare for Change, it will be part of the new infrastructure, to assist in the transformation of the planet. P : Ok got it. Do you know how the Resistance Movement on Planet X treated those illuminati slave masters right after they liberated their planet ? C : They were processed in the same way the cabal will be processed on planet Earth at the Event, and many of them went in to the Central Sun. P : So the Earth is about to go through the same process right ? Untwine : You said that there are ascended masters retreats in Antarctica, is there any specific master that is present there ? C : Mostly masters that don’t have direct mission with humanity, but mostly with planet Earth global situation with the energy grid, and with other things that are not exactly related directly with humanity. U : Can you name some of these masters or are they not known ? C : They are not known to the surface population. 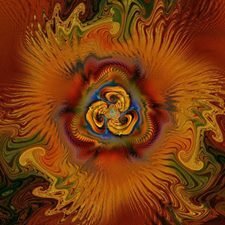 This technique was given by a Dragon group with the purpose of increasing the effect of any group meditation, and also increase harmony within our groups. As we are entering the last phase of our liberation, one of the last remaining factor to help trigger the Event is for the general population to generate a strong enough impulse to manifest the breakthrough by using our manifestation power with decisions, meditations, actions, etc. The Breakthrough will happen no matter what, regardless of whether or not we send this impulse, but it would be much slower and less comfortable process if we do not do it. As we may not always reach the critical mass for our meditations, this technique can help us to compensate on some levels. This does not mean that, for example, the critical mass needed to have the final desired effect of the weekly meditations put out by Cobra would be lower, as Cobra explained this number of 144000 participants is fixed. It just means that we can increase the coherence and the effect of what we are doing. This technique can be used for any meditation, by small and big groups, who meet physically or not. - The inner circle is Intention, they are people who have good focus, who can maintain the core intention of the meditation undistracted and clear. - The middle circle is Energy, they are people who have a lot of extra energy (but not necessarily good focus), they supply the Intention circle with extra energy to sustain the momentum and amplify the effect, by expressing their intent to do so. - The outer circle is Guardian, they are the Light warriors who protect the other 2 circles from unwanted negative energies. They are placed in a square on the outside. Each participant choose for themselves which circle they belong to. Participants are put together in groups of 3 people, according to which circle they are in and which element their zodiac sign is. The aim is to have 1 of each sign for one particular element, within each group of 3 people, which creates a complete unit. For example, a group of 3 people who belong to the Intention circle, and who are Earth signs : 1 Taurus, 1 Virgo, 1 Capricorn. For small groups with limited number of people, there may not always be the perfect configuration to have 1 of each zodiac sign within each element, and within each circle. It's ok, in that case we do the best we can with what we have available. 3. You can set up a Tri Sphere group among any local or international group and practice regularly, and you can adapt it to any meditation. 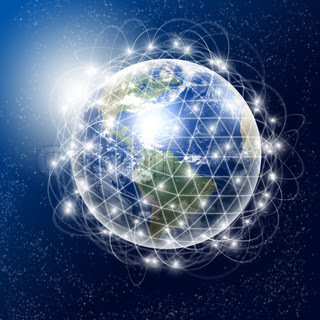 For example if you are participating to the Weekly Cobra Meditation, each participant still follows the regular guidelines for that meditation, while also connecting with their Tri Sphere group and doing their individual role according to the circle they belong to : Intention Energy or Guardian. In cases like this it is important that each participant still follows the original guidelines of the particular meditation you are doing. The Tri Sphere is an added independent aspect, like the music you are listening to or the environment you are in during the meditation. It is not something that will replace or modify the original guidelines of the meditation you are doing. 1. Visualize a pillar of brilliant white Light coming down from the Central Sun to the core of the Earth going through you, and simultaneously back from the core of the Earth to the Central Sun going through you. 3. 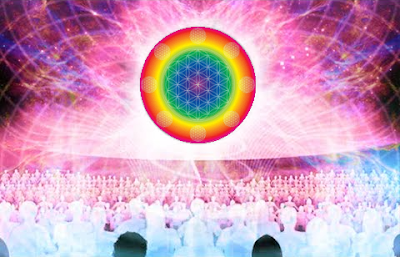 Visualize a large sphere of brilliant White Light encompassing the whole group, and connecting with all other points of Light, individuals and groups, throughout the surface of this planet, below the surface of this planet, and throughout the solar system and entire galaxy, completing the Galactic Network of Light. This can be done daily, even for just 1 or a few minutes, the aim being to reach a peak of coherence. Feel free to adapt it or do your own meditation with it.